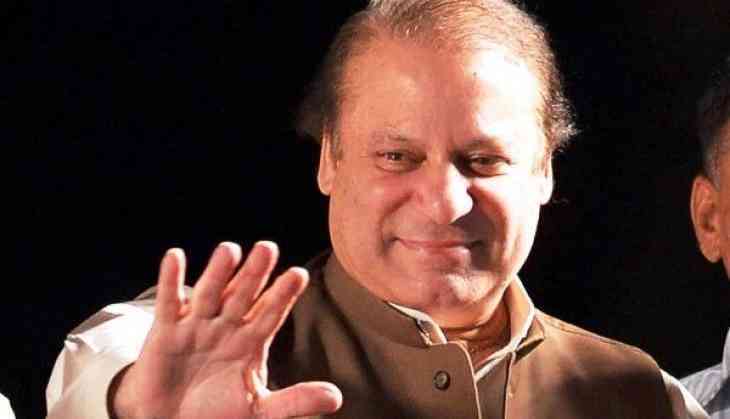 Former Pakistan Prime Minister Nawaz Sharif on Monday said that if he was not ousted from power, then he would have taken the country to new heights. Speaking to reporters outside the Islamabad accountability court for hearing corruption cases against his family, Sharif said that his government had carried out various developmental works when he was in power. He said, "We would have made Naya Pakistan, but who allows to work here," in what was an apparent jibe to the judiciary and Supreme Court, who disqualified him from politics recently, ARY News reported. Commenting on Prime Minister Narendra Modi's visit to China last week, he said, "Both the countries are coming closer to each other. We (Pakistan and India) have learnt nothing from the past." Criticising Pakistan Tehreek-e-Insaf (PTI) chief Imran Khan's rally at Lahore on Sunday, Sharif further said that he was hearing Imran's hollow claims for the past many years, Geo TV reported. "Yesterday's Jalsa was in Lahore, the crowd was from Peshawar while the agenda was someone else's," he said. Addressing his party's power show at the iconic Minar-e-Pakistan in Lahore on Sunday, Imran touted his 11-point agenda for "naya (new) Pakistan". The cricketer-turned-politician's 11-point agenda lays emphasis on education, health, revenue generation, corruption, investment, employment, agriculture, federation, environment, police system, women education, Geo TV reported. "Ask yourself, why was this country made?" Khan asked the crowd to question itself. The PTI chief lamented on the fact that current Pakistan was nowhere close to the vision of the country's founder Muhammad Ali Jinnah. According to the report, Imran Khan, who earlier branded the jalsa as "tsunami plus show", expressed his gratitude to the participants who turned out in quite a huge chunks to witness the "historic" gathering.